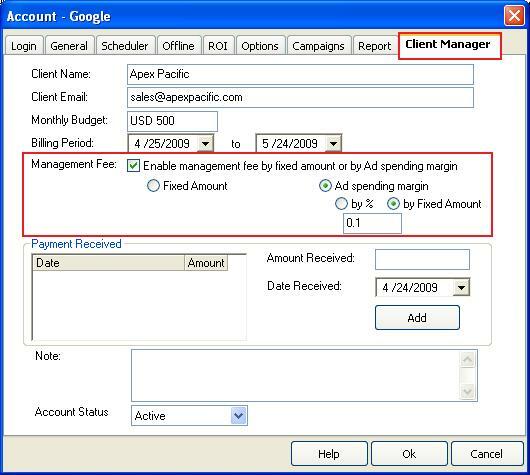 To setup this feature on a particular account, please select the account on the Account browser on the left hand part of the PPC BidMax program. Go to "File" menu and select "Edit Account". Change the Tab to "Account Manager". Tick the box that says "Enable Management fee by ...". There are 2 options in regards with the management Fee. the first is by "Fixed Amount". This amount will not be integrated into the Performance report and only used for your notes. 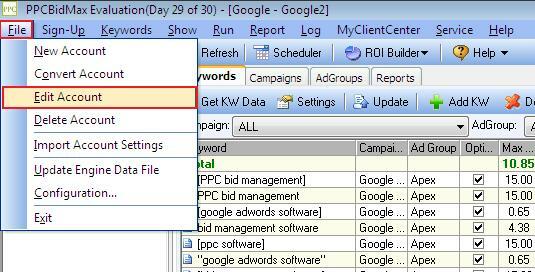 The second option, by "Ad Spending Margin" will be applied to the Performance report. The margin will be applied to the CPC (Cost per Click), however, this will affect the values derived from is such as Cost (CPC * clicks), Cost/Conversion and Total. You can set the margin by either a percentage or a fixed amount. Example for Percentage margin: If you set the Ad Spending Margin by 10%, it means that if you have a keyword with a CPC of $1, it will be marked up by 10% to $1.10. 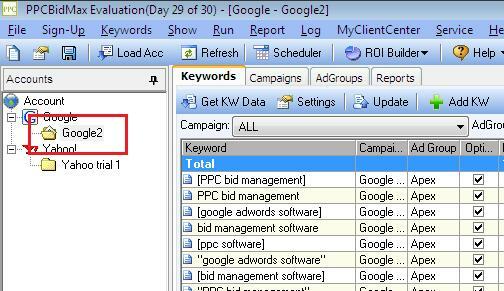 Example for Fixed amount margin: If you set the Ad Spending Margin by 0.1 (10 cents), it means that if you have a keyword with a CPC of $1, it will marked up by 10 cents to $1.10.